Thank you for joining us for the Recycle Challenge and we hope you will all join us again this week too. 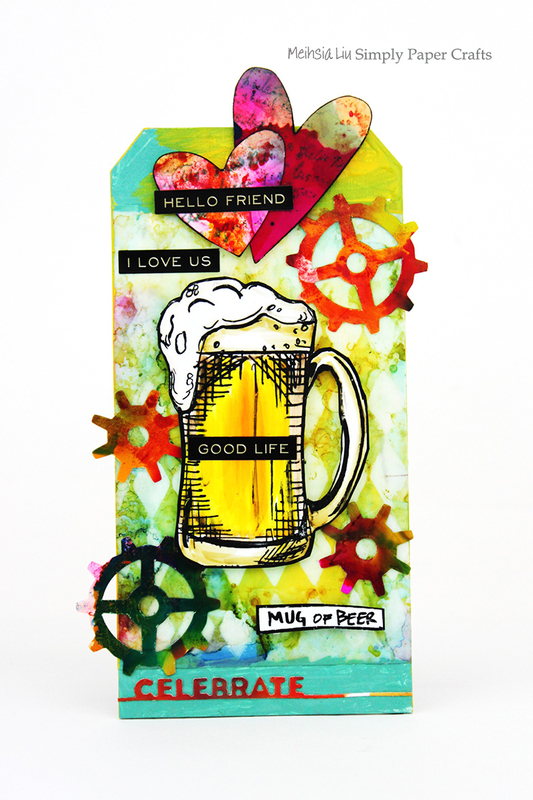 Andrea used a variety of alcohol inks and alcohol blending solution to make this colorful tag duo. 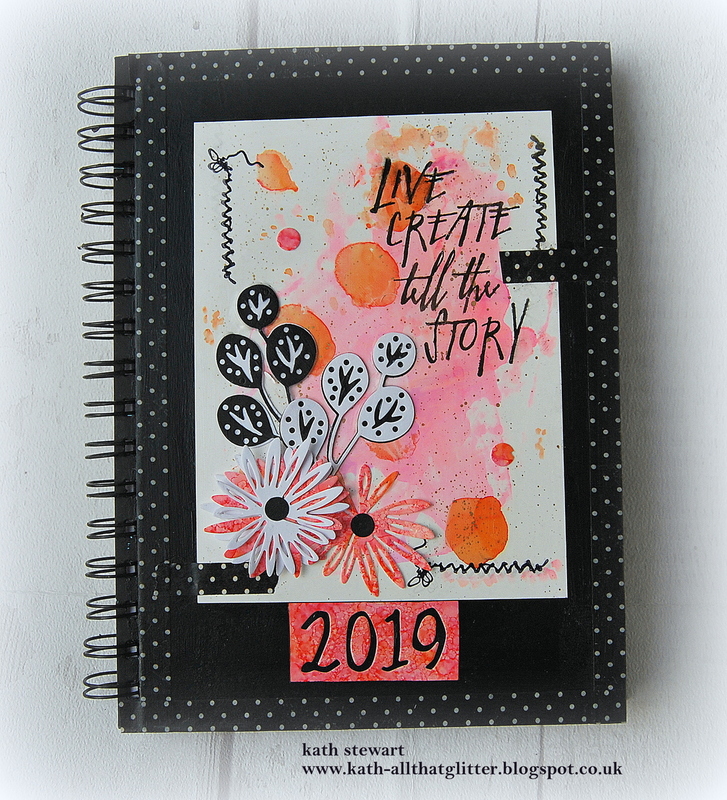 She added some polka dot fun with Scrapberry’s Dotted Pattern stencil and some figurines from Inky Antics’ Silhouette Sentiments. 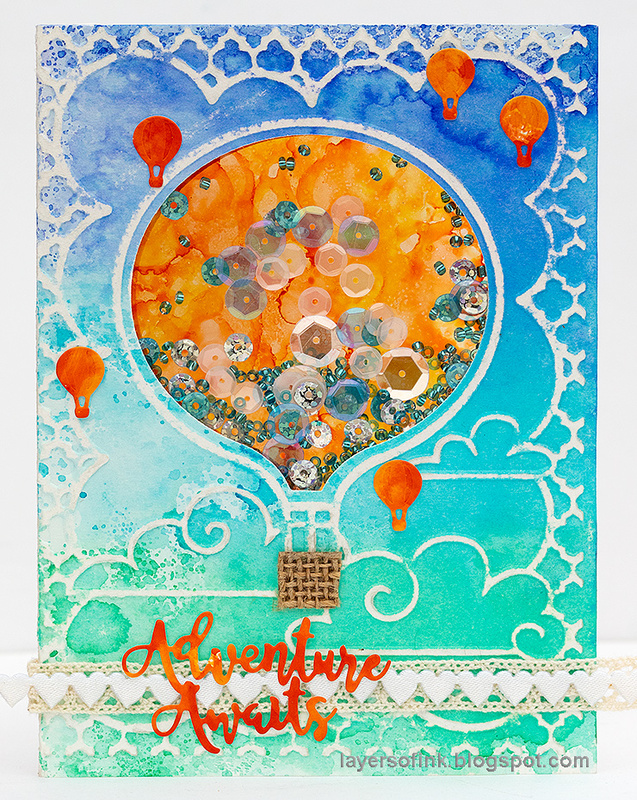 Anna-Karin made a hot air balloon shaker card this week, using Ranger’s alcohol ink to color both the acetate for the balloon and the gloss paper that the small balloon were die cut from. 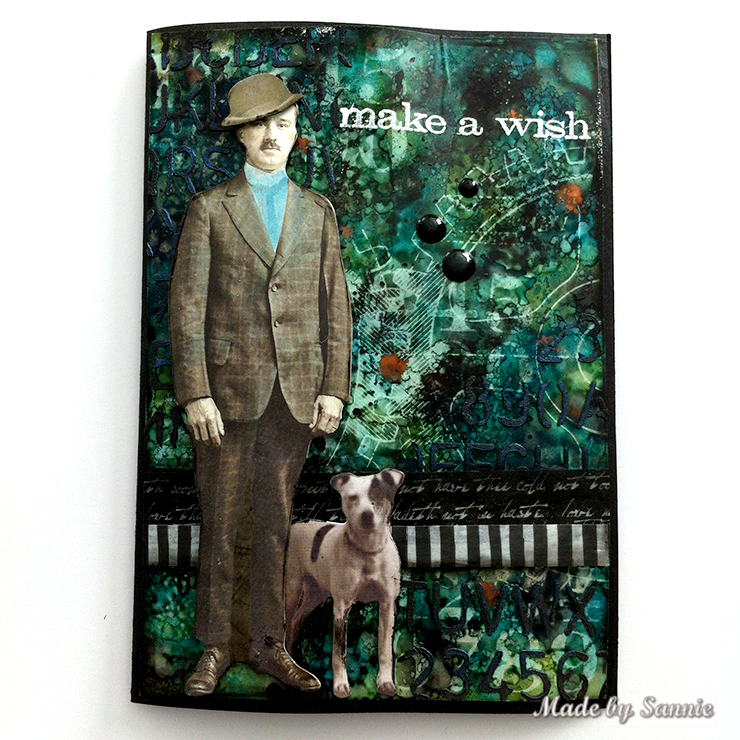 She used Sizzix Hot Air Balloon Impresslits Cut and Emboss Folder, and Tim Holtz Distress Ink for the background. 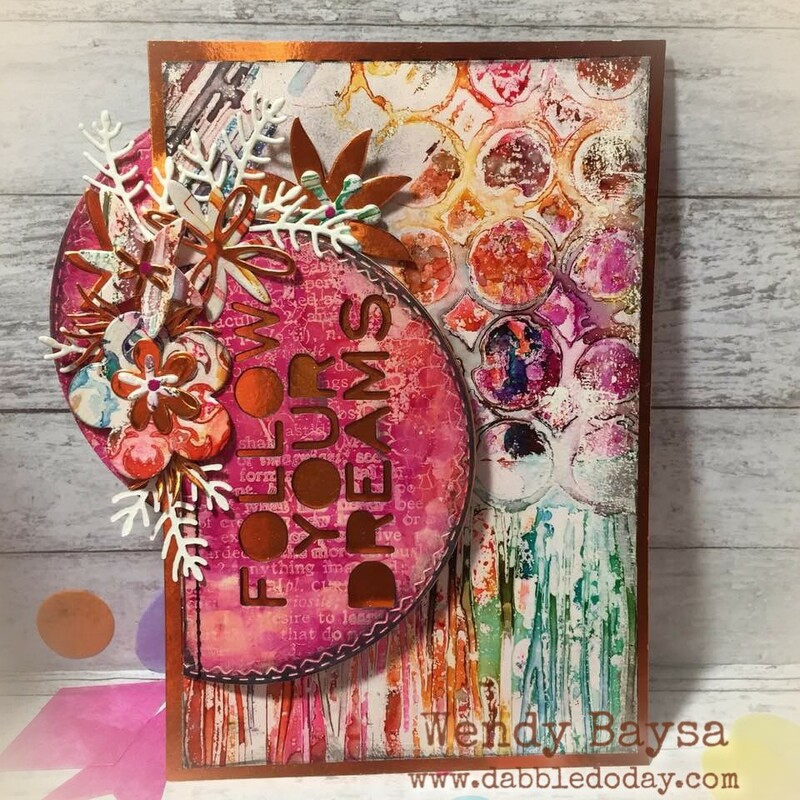 Barbara used Alcohol inks to create her background and to paint her metal embellishments. 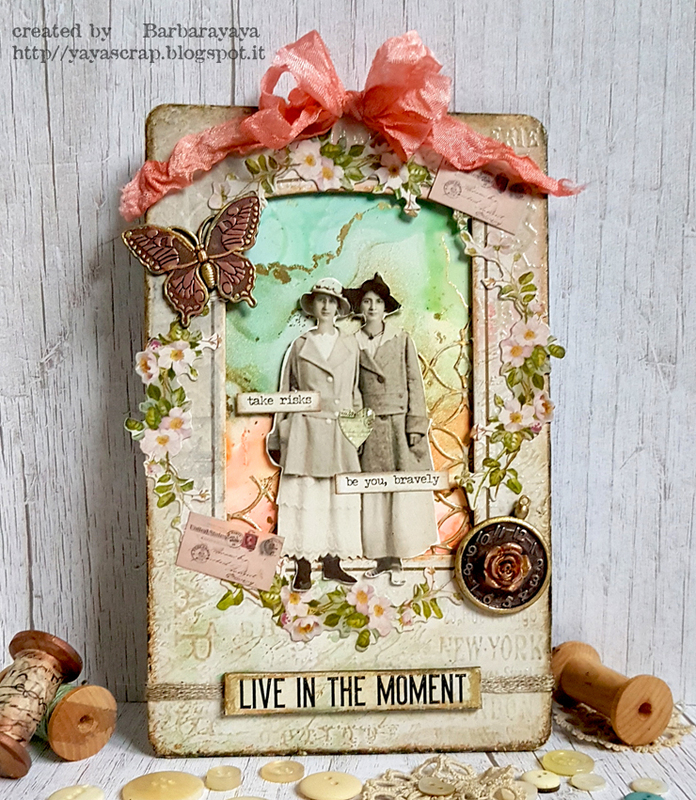 She used Ranger Yupo Paper, Tim Holtz Idea-ology Paper Dolls, Tim Holtz Stampers Anonymous French Collage , Idea-ology Collage Frames and Tim Holtz Sizzix Mixed media #1. 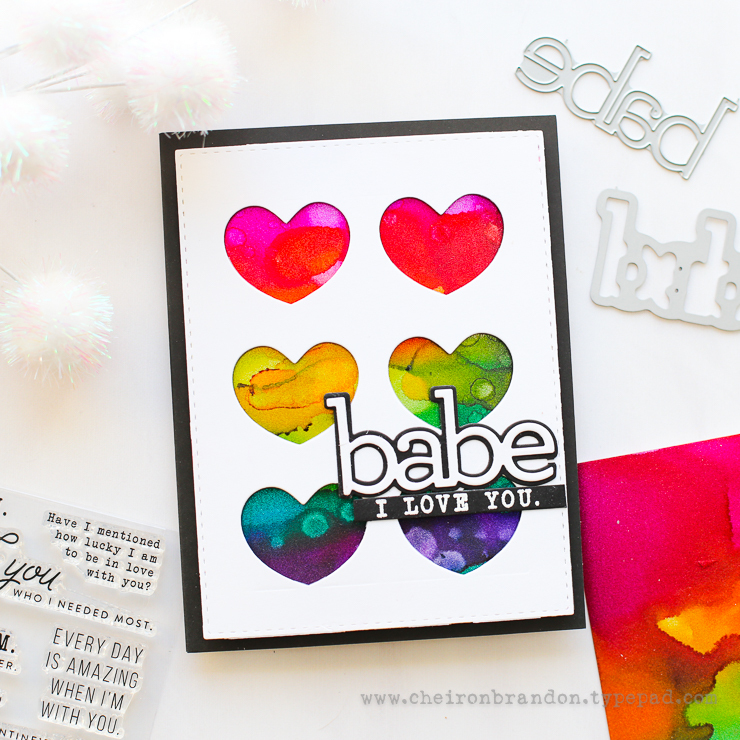 Cheiron used a rainbow of Alcohol Inks on Ranger Silver Sparkle Alcohol Ink cardstock to shine thorough on her card using the Simon Says Stamp Windows to My Heart and CZ Design Babe dies. 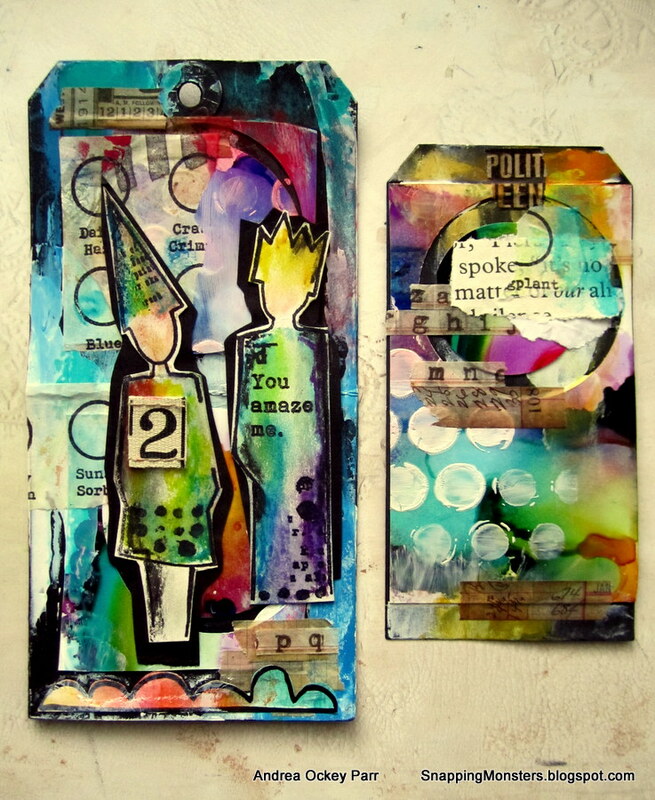 Emma used a variety of Alcohol Inks on Yupo card to create art on her mini Etcetera Tag. She used the Stitched Circles die to cut circular discs of the Yupo before layering them with Sprocket Gears and a Tim Holtz Paper Doll. 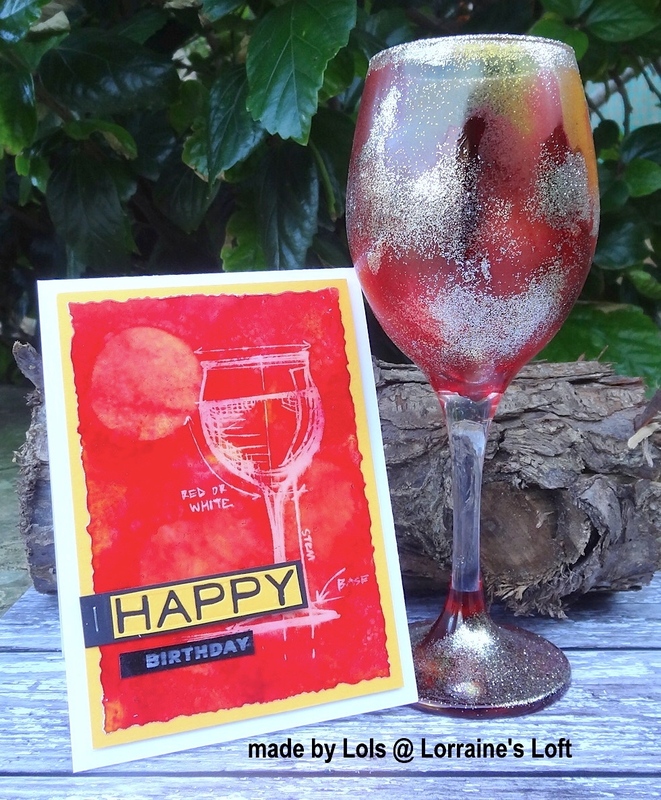 Lols made a birthday card using White Yupo Paper, Crimson and Dandelion Alcohol Inks and a little Blending Solution. She used an Alcohol-Lift Ink Pad and a Wine Blueprint Stamp to create the design. She also altered a wine glass and made it into a candle holder by dribbling the inks and then adding some Platinum Glitter Dust for lots of sparkle. 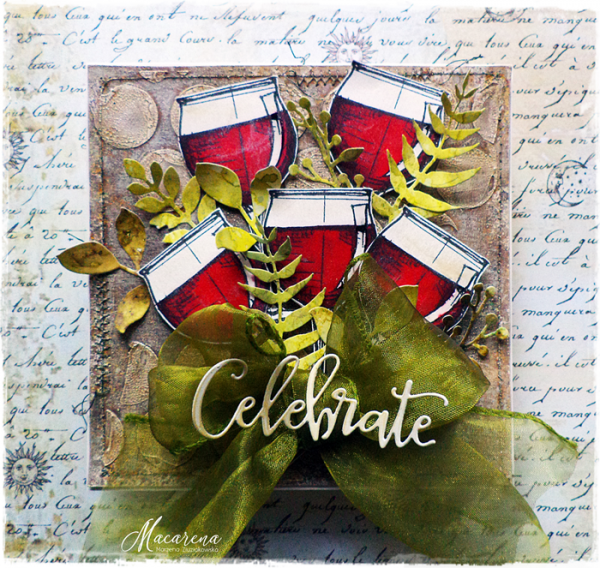 Macarena made a bouquet of wine glasses using Tim Holtz Wine Blueprints stamps set and a leather-like background using Simon Says Stamp Large Dots stencil. 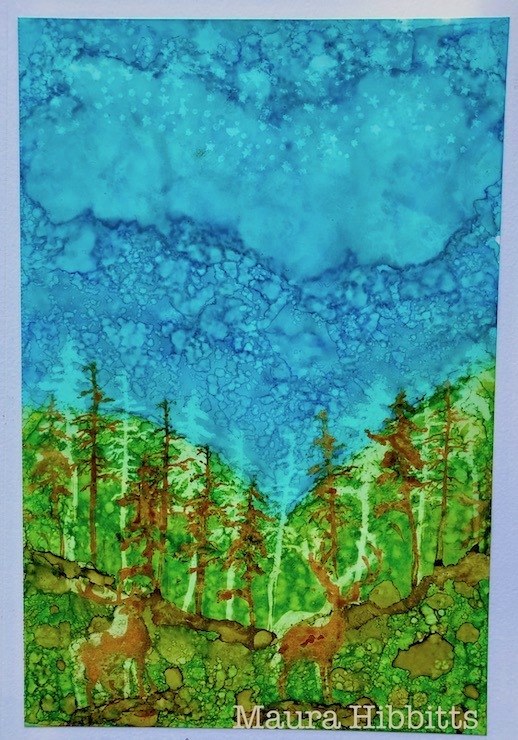 Maura took out her Ranger Alcohol Inks, Yupo Paper and Tim Holtz Great Outdoor stamp set and created a landscape. 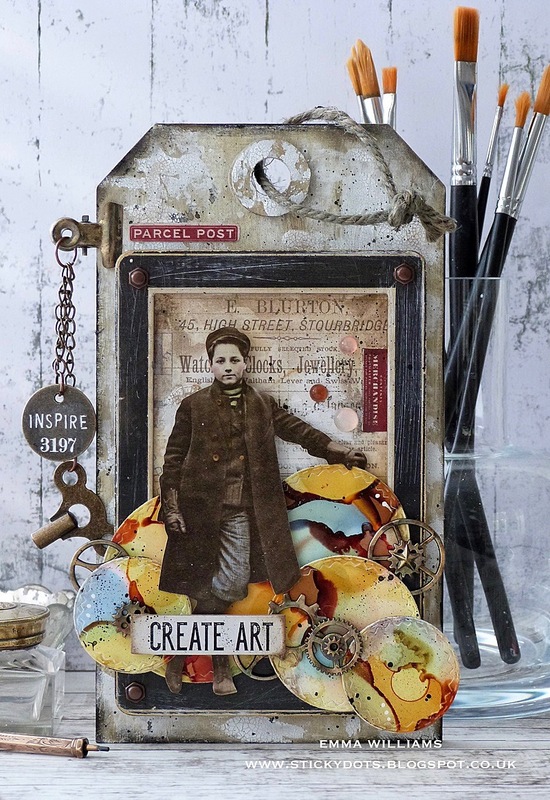 Meihsia was inspired to create a mixed media tag using Tim Holtz Translucent Alcohol Ink Yupo Paper on the background, then colored it with Ranger Alcohol Inks and embellished it using Tim Holtz Rubber Stamp Beer Blue Print. Sandra had fun playing with Alcohol Inks on Yupo paper, and lifting it with Alcohol Lift Ink and the Dapper stamp set. Okay gals…I am INSPIRED! Great job and thanks for all the wonderful ideas!!! Fantastic inspiration as always from the team. I’m looking forward to hopping round for a closer look. I decided to participate in my very first SSSMchallenge, but failed to read all the instructions. I uploaded something that I posted months ago and then read that’s a no-no, but I couldn’t figure out how to delete it. I promise I’m not a jerk and I will follow the rules next time!